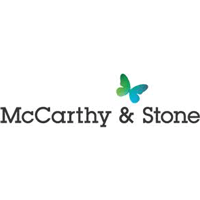 McCarthy & Stone Plc (LON:MCS), the UK’s leading developer and manager of retirement communities, announced its financial results for the six months ended 28 February 2019 (2019). All comparatives are to the prior year equivalent six-month period ended 28 February 2018 (2018) unless otherwise stated. · Revenue increased by 17% to £281m (2018: £240m) reflecting 11% increase in volumes to 845 legal completions (2018: 760) together with a 7% improvement in the average selling price to £319k (2018: £298k), reflecting improvements in the quality and locations of our developments as well as a change in geographic and product mix. · Underlying operating profit3 increased by 47% to £21m (2018: £15m) driven by increased volumes and ASP profile together with planned margin improvement activity in line with the Group’s new strategy, partially offset by increased use of discounts and incentives, particularly part-exchange, to counteract a more challenging secondary market. · Underlying profit before tax increased by 64% to £19m (2018: £12m) and statutory profit before tax decreased by 66% to £4m (2018: £11m) impacted by £14m (2018: nil) of exceptional costs incurred in relation to the delivery of the Group’s new business strategy including restructuring and redundancy costs, realignment of land bank to deliver steady state volumes and consultancy fees (£6m cash impact from exceptionals in H1). · Underlying basic earnings per share3,4 increased by 71% to 2.9p (2018: 1.7p) and basic earnings per share decreased by 67% to 0.5p (2018: 1.5p). · Period end net debt5 of £57m (2018: £76m) equivalent to gearing7 of 8% (2018: 10%). · Interim dividend of 1.9p per share (2018: 1.9p per share), to be paid on 11 June 2019 to the shareholders on the register at close of business on 3 May 2019. · 15 first occupations brought to market in the period (2018: 16). · Total land bank of c.8,372 plots (2018: c.10,021), equivalent to c.3.9 years’ supply (2018: 4.4 years’ supply), with 10 high-quality development sites (2018: 22 sites) added to the landbank and 21 planning consents achieved (2018: 21). · Awarded the full Five Star rating for customer satisfaction by the Home Builders Federation (‘HBF’) for the fourteenth consecutive year – the only UK housebuilder, of any size or type, to achieve this accolade every year the survey has been run. · Board appointment – Gill Barr appointed as a Non-Executive Director of the Group with effect from today bringing the total number of board members to eleven. Gill will succeed Mike Parsons as Chair of the Remuneration Committee. She will also join the Risk & Audit Committee. · In April 2019, the Group extended the maturity date of its existing £200m revolving credit facility (‘RCF’) from May 2021 to March 2023 with Barclays, HSBC and RBS. · Completion volumes remain ahead of prior year, despite increasingly challenging market conditions with continued use of part-exchange. · Sales leads and enquirers in line with prior year despite the planned lower level of sales releases (28, 2018: 54) reflecting strategic focus on rebalancing workflow. · Increased use of discounts and incentives, particularly part-exchange, now expected to continue into H2 to counteract more challenging secondary market. · House price inflation remains subdued and build cost inflation expected to remain at c.3-4% level. “During the first reporting period of our transformation strategy and against the backdrop of continuing uncertainty and challenging market conditions, we delivered encouraging results. Our half year revenue increased to £281m (2018: £240m), representing progress towards a rebalancing of our workflow and we brought 15 (2018: 16) high-quality developments to market. This revenue increase, together with margin improvement activity in line with our new strategy resulted in a 47% increase in underlying operating profit for the period. Click MCS for the full archive.